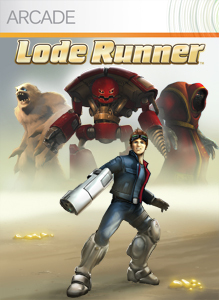 "It’s an all-new Lode Runner gold mine: 3D graphics, frenzied 2D action, lodes of modes, 220 levels, multiplayer options, puzzles, a level editor and more! Run, climb, blast blocks, outsmart enemies and grab the gold by yourself or with a partner! Battle up to three friends on Xbox LIVE in a frantic game of tag, where the first to die return as enemies! Survive endlessly spawning foes. Create and share devious levels. It’s the mother lode!" and will take up 73 MB of Space.